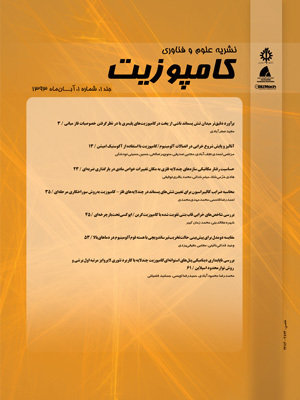 آشنای قاسمی, فرامرز, صابریان, محمد حسین, قاسمی, اسماعیل, دانش پایه, سجاد. (1397). تحلیل تجربی خواص مکانیکی نانو کامپوزیت‌ هیبریدی بر پایه‌ِی رزین اپوکسی/ نانو صفحات گرافن/ لاستیک نیتریل کربوکسیل شده. علوم و فناوری کامپوزیت, 5(3), 395-402. فرامرز آشنای قاسمی; محمد حسین صابریان; اسماعیل قاسمی; سجاد دانش پایه. "تحلیل تجربی خواص مکانیکی نانو کامپوزیت‌ هیبریدی بر پایه‌ِی رزین اپوکسی/ نانو صفحات گرافن/ لاستیک نیتریل کربوکسیل شده". علوم و فناوری کامپوزیت, 5, 3, 1397, 395-402. آشنای قاسمی, فرامرز, صابریان, محمد حسین, قاسمی, اسماعیل, دانش پایه, سجاد. (1397). 'تحلیل تجربی خواص مکانیکی نانو کامپوزیت‌ هیبریدی بر پایه‌ِی رزین اپوکسی/ نانو صفحات گرافن/ لاستیک نیتریل کربوکسیل شده', علوم و فناوری کامپوزیت, 5(3), pp. 395-402. آشنای قاسمی, فرامرز, صابریان, محمد حسین, قاسمی, اسماعیل, دانش پایه, سجاد. تحلیل تجربی خواص مکانیکی نانو کامپوزیت‌ هیبریدی بر پایه‌ِی رزین اپوکسی/ نانو صفحات گرافن/ لاستیک نیتریل کربوکسیل شده. علوم و فناوری کامپوزیت, 1397; 5(3): 395-402. در این تحقیق، خواص مکانیکی نانو کامپوزیت‌های پایه‌ رزین اپوکسی تقویت شده با نانو صفحات گرافن و لاستیک نیتریل کربوکسیل شده (XNBR) بررسی شده است. نانو صفحات گرافن در سه سطح 0، 0.75 و 1.5 درصد وزنی و لاستیک XNBR در سه سطح 0، 5 و 10 درصد وزنی به زمینه رزین اپوکسی اضافه شدند. نمونه‌ها به روش دستی ساخته و قالب‌گیری شدند و آزمون‌های مکانیکی در دمای محیط جهت تعیین استحکام کششی، مدول کششی، ازدیاد طول تا پارگی و استحکام ضربه انجام شدند. از تصاویر میکروسکوپ الکترونی روبشی (FESEM) جهت مشاهده نحوه‌ی پراکندگی نانو صفحات گرافن در زمینه رزین اپوکسی استفاده شد. مشاهده شد که نانو صفحات گرافن در 0.75 درصد وزنی پراکندگی مناسب داشته و در درصدهای بالاتر دچار کلوخگی شده است. حضور نانو صفحات گرافن باعث کاهش استحکام کششی و ازدیاد طول تا پارگی ترکیبات می‌شود. این درحالی است که حضور نانو صفحات گرافن مدول کششی و استحکام ضربه را به ترتیب 20 و 23 درصد افزایش داده است. از طرف دیگر، افزودن لاستیک XNBR استحکام و مدول کششی را ~18 درصد دچار کاهش و استحکام ضربه و ازدیاد طول تا پارگی را به ترتیب به طور چشمگیری تا 130 و 46 درصد افزایش داده است. همچنین، حضور همزمان نانو صفحات گرافن و لاستیک XNBR در زمینه رزین اپوکسی، کاهش 10 درصدی استحکام کششی را به دنبال داشته است. این در حالی است که مدول کششی، ازدیاد طول تا پارگی و استحکام ضربه به ترتیب نسبت به اپوکسی خالص 6، 29 و 143 درصد افزایش پیدا کرده‌اند. In this study, mechanical properties of nano-composites based on epoxy reinforced with graphene nano-platelets and XNBR is investigated. Fillers were added to the epoxy matrix in 0, 0.75 and 1.5 wt. % levels for graphene nano-platelets and 0, 5 and 10 wt. % levels for XNBR. Samples were prepared by hand method and mechanical tests were performed in room temperature to determine tensile strength, tensile modulus, elongation at break and impact strength. FESEM images were used to determine the state of graphene nano-platelets dispersion. It was observed that graphene nano-platelets had well dispersion in 0.75 wt.% but in high loading of them, aggregation was observed. Graphene nano-platelets decreased tensile strength and elongation. On the other hand, enhanced tensile modulus and impact strength by 20% and 23%, respectively. Adding XNBR declined tensile strength and modulus by ~18% and increased impact strength and elongation by considerable amount of 130% and 46%, respectively. Simultaneous presence of graphene nano-platelets and XNBR in epoxy matrix decreased tensile strength by ~10%. On the other hand, tensile modulus, elongation and impact strength increased by 6%, 29% and 143% compared to neat epoxy. Jumahat, A. C. Soutis, et al., "Tensile Properties of Nanosilica/Epoxy Nanocomposites." Procedia Engineering 41: 1634-1640. 2012. Bezy, N. A. Fathima, A. L., “Effect of TiO2 Nanoparticles on Mechanical Properties of Epoxy-Resin System.” International Journal of Engineering Research and General Science, 3(5) 143-151. 2015. Kumar, K. P. K. Ghosh, et al., "Improving Mechanical and Thermal Properties of TiO2-Epoxy Nanocomposite." Composites Part B: Engineering 97: 353-360. 2016. Montazeri, A. J. Javadpour, et al., "Mechanical Properties of Multi-walled Carbon Nanotube/epoxy Composites." Materials & Design 31(9): 4202-4208. 2010. Ying, Z. L. Xianggao, et al., "Highly Exfoliated Epoxy/clay Nanocomposites: Mechanism of Exfoliation and Thermal/mechanical Properties." Composite Structures 132: 44-49. 2015. Wei, J. T. Vo. et al., "Epoxy/graphene Nanocomposites–Processing and Properties: a Review." RSC Advances 5(90): 73510-73524. 2015. Potts, J. R. D. R. Dreyer, et al., "Graphene-based Polymer Nanocomposites." Polymer 52(1): 5-25. 2011. Galpaya, D., M. Wang, et al., "Preparation of Graphene Oxide/epoxy Nanocomposites with Significantly Improved Mechanical Properties." Journal of Applied Physics 116(5): 053518. 2014. Wang, Y. C. Wang, et al., "Carboxyl-terminated Butadiene–acrylonitrile-toughened Epoxy/carboxyl-modified Carbon Nanotube Nanocomposites: Thermal and Mechanical Properties." Express Polym Lett 6(9): 719-728. 2012. Mohammad A. Rafiee, Javad Rafiee, Zhou Wang, Huaihe Song, Zhong-Zhen Yu, and Nikhil Koratkar. ACS Nano, 2009, 1 (12), pp 1881–1890. Zaman, I., T. T. Phan, et al., "Epoxy/graphene Platelets Nanocomposites with Two Levels of Interface Strength." Polymer 52(7): 1603-1611. 2011. King, J. A. D. R. Klimek, et al., "Mechanical Properties of Graphene Nanoplatelet/epoxy Composites." Journal of applied polymer science 128(6): 4217-4223. 2013. Wang, F. L. T. Drzal, et al. "Mechanical Properties and Thermal Conductivity of Graphene Nanoplatelet/epoxy Composites." Journal of Materials Science 50(3): 1082-1093. 2015. Kargarzadeh, H. I. Ahmad, et al., (2015). "Mechanical Properties of Epoxy–Rubber Blends." Bagheri, R., B. Marouf, et al. (2009). "Rubber-toughened Epoxies: A Critical Review." Journal of Macromolecular Science®, Part C: Polymer Reviews 49(3): 201-225. Thomas, R., D. Yumei, et al. (2008). "Miscibility, Morphology, Thermal, and Mechanical Properties of A DGEBA Based Epoxy Resin Toughened with a Liquid Rubber." Polymer 49(1): 278-294. Thomas, R., J. Abraham, et al. (2004). "Influence of Carboxyl‐terminated (Butadiene‐co‐acrylonitrile) Loading on the Mechanical and Thermal Properties of Cured Epoxy Blends." Journal of Polymer Science Part B: Polymer Physics 42(13): 2531-2544. Mathew, V. S., C. Sinturel, et al. (2010). "Epoxy Resin/liquid Natural Rubber System: Secondary Phase Separation and its Impact on Mechanical Properties." Journal of Materials Science 45(7): 1769-1781. Ratna, D. (2007). Epoxy Composites: Impact Resistance and Flame Retardancy, iSmithers Rapra Publishing. Ramos, V. D., H. M. Da Costa, et al. (2005). "Modification of Epoxy Resin: A Comparison of Different Types of Elastomer." Polymer Testing 24(3): 387-394. Wang, F., L. T. Drzal, et al. (2016). "Enhancement of Fracture Toughness, Mechanical and Thermal Properties of Rubber/epoxy Composites by Incorporation of Graphene Nanoplatelets." Composites Part A: Applied Science and Manufacturing 87: 10-22. Raza MA, Westwood AVK, Brown AP, Stirling C. Texture, Transport and Mechanical Properties of Graphite Nanoplatelets/silicone Composites Produced by Three Roll Mill. Compos Sci Technol 2012; 72:467–75. Zakaria, M. R., M. H. Abdul Kudus, et al. (2017). "Comparative Study of Graphene Nanoparticle and Multiwall Carbon Nanotube Filled Epoxy Nanocomposites Based on Mechanical, Thermal and Dielectric Properties." Composites Part B: Engineering 119: 57-66. King JA, Klimek DR, Miskioglu I, Odegard GM (2014) Mechanical Properties of Graphene Nanoplatelet/epoxy Composites. J Compos Mater. doi:10.1177/0021998314522674. Arends CB. Polymer toughening. New York (USA): Marcel Dekker Inc.; 1996. Dadfar, M. and F. Ghadami (2013). "Effect of Rubber Modification on Fracture Toughness Properties of Glass Reinforced Hot Cured Epoxy Composites." Materials & Design 47: 16-20. Poonpipat, Y., K. Leelachai, et al. (2017). "Fracture Behavior of Silica Nanoparticles Reinforced Rubber/epoxy Composite." Journal of Reinforced Plastics and Composites: 0731684417709952. Leelachai, K., P. Kongkachuichay, et al. (2017). "Toughening of Epoxy Hybrid Nanocomposites Modified with Silica Nanoparticles and Epoxidized Natural Rubber." J Polym Res 24: 41. I. Zaman, H.-C. Kuan, Q. Meng, A. Michelmore, N. Kawashima, T. Pitt, L. Zhang, S. Gouda, L. Luong and J. Ma, “A Facile Approach to Chemically Modified Graphene and its Polymer Nanocomposites,” Advanced Functional Materials, Vol. 22, no. 13, pp. 2735-2743, 2012. Zhou, W. and J. Cai (2012). "Mechanical and Dielectric Properties of Epoxy Resin Modified Using Reactive Liquid Rubber (HTPB)." Journal of applied polymer science 124(5): 4346-4351. Park, Y. T., Y. Qian, et al. (2015). "Epoxy Toughening with Low Graphene Loading." Advanced Functional Materials 25(4): 575-585.